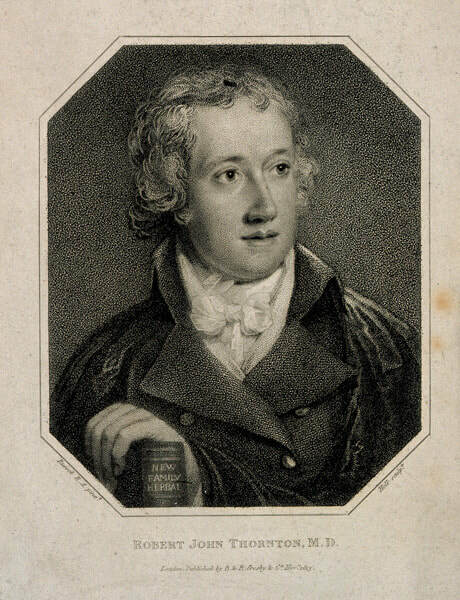 In 1799, Robert John Thornton, a medically trained doctor and devoted botanist, began the production of The Temple of Flora – a volume of large-format engravings of beautiful, coloured floral portraits. The work was intended as an homage to the great Swedish scientist Carl Linnaeus, a man revered by Thornton for his revolutionary new system of classification, established a few decades prior. Thornton spared no expense in creating the plates, employing the most celebrated flower painters of the age to portray the flowers in immaculate detail. 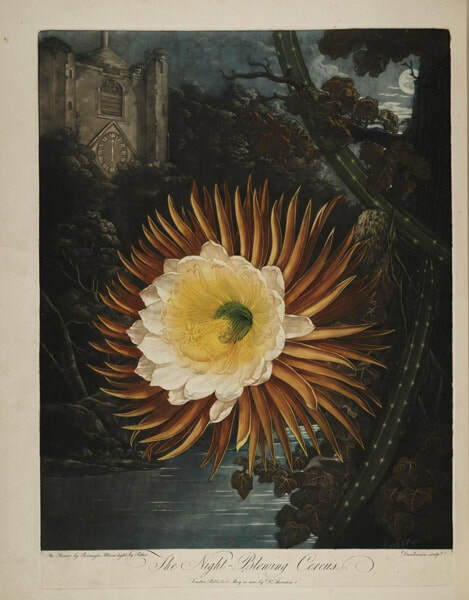 The monumental presence of the plants and their dramatic landscape backgrounds are also unique and fascinating reflections of the Romantic era within the realm of botanical illustration, a fact that rendered the original plates hugely valuable. Very few complete editions of The Temple of Flora exist today, but now a newly published, complete reprint by Taschen – accompanied by the history of the work's origin and the life of its author – bring these stunning illustrations to the wider audience they deserve. Here, we present a selection of the plates, accompanied by enlightening facts about the flowers they depict – taken from the book, by its author Werner Dressendörfer. Philip Reinagle RA (1749 – 27 November 1833) was an English animal, landscape and botanical painter. This is a large format facsimile of the original - which is something that the publishers specialise in. ​This is a very different sort of book about a Flora. The images have a very distinctive style and I recommend people look at what they are like online prior to purchase. Taschen, as ever, has excellent production values and produces a robust and well produced book. Although this book is expensive, I've always found Taschen to have good value pricing. Physician: Marylebone dispensary [ London ] where he is said to have introduced the use of digitalis in cases of scarlet fever. Publ. : The Politician's Creed; The Temple of Flora; The Philosophy of Medicine; Facts decisive in Favour of the Cow Pock etc. Digital versions of the "New illustration of the sexual system of Carolus von Linnaeus :and the temple of Flora, or garden of nature."